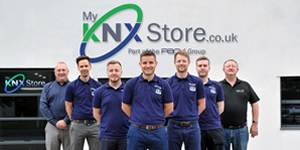 ← Dr KNX: What does it take to become a KNX installer, and what software tools are available? By Ben Hobbs, H3 Digital. Phuket is a tropical island in Thailand visited by more than five million holidaymakers each year. After nearly a decade of visiting, UK businessman Dennis Bacon found an elevated parcel of land for sale on the East coast that featured a stunning 240-degree view of Phang Nga bay. He purchased the land and started to plan building his dream holiday home. 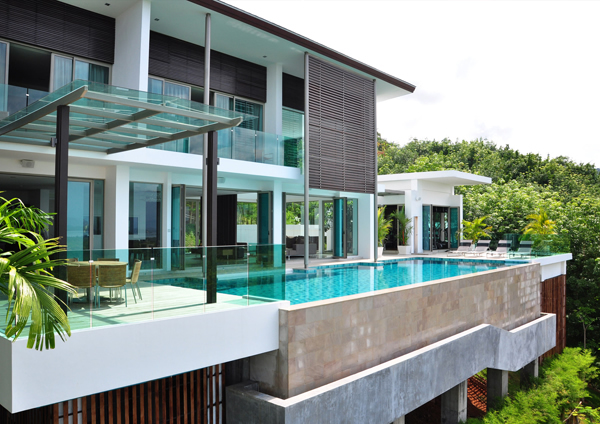 The 1200sqm villa is built on a hill directly overlooking Phang-Nga bay. Dennis approached us in 2009 before breaking ground on the project. Having been involved in building luxury homes in the UK he understood that for a house of this stature lighting control would be essential. The brief was to keep things simple, easy to use and maintain. Dennis had spent time in holiday villas here and seen walls with banks of conventional light switches which he was keen to avoid. Dennis liked the idea of a lighting system that didn’t tie him in to a single company or product line. He wanted a keypad in each area and the flexibility for these to control all of the lights directly. 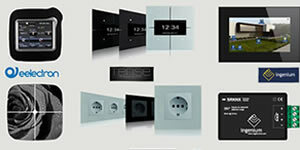 Keypads in common areas and the entrance would also need to choose mood lighting scenes. 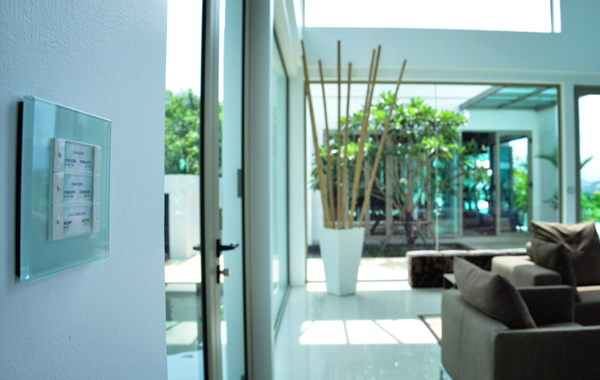 At the entrance a Gira KNX keypad gives control over the living and dining rooms. Our recommendation was a KNX system featuring 25 Gira keypads with a mixture of ABB and Gira control, dimming and switching equipment. The house features 10 dimming circuits and 40 switched circuits with conventional lighting to the storage and maids’ rooms. 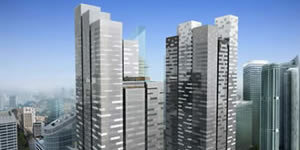 Thailand is still a developing country, so planning any complex project can be a time-consuming and frustrating endeavour. In addition to the language barrier (Thai is a remarkably difficult language), things are not always done in an organised manner here. It is important therefore, to keep on top of things at the early stages. The conduit work for the project was to be completed by the main electrical contractor. 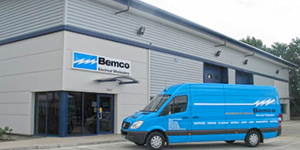 Acting as the low-voltage contractor/systems integrator, we had to ensure that our plans were integrated tightly with theirs from as early as possible. Our in-house team produced conceptual drawings and AutoCAD plans for the client and key stakeholders such as the project manager, construction team and electrical contractor. Sometimes it was an uphill struggle to ensure that we always had the most current set of plans. Many times AutoCAD files from stakeholders would arrive oddly formatted and needing considerable effort to open, due to them using old versions of AutoCAD. One KNX keypad to control the Master Suite helps to keep things simple. The house measures some 1200 square metres of floor space in total. The install in its entirety took 18 months, from being awarded the contract through to the client turning the key on the last minute addition in December 2011. We spent a lot of time with the electrical contractor ensuring that the lighting circuits were wired correctly before starting to install the KNX hardware. There were a number of potentially hazardous errors that we corrected, including Neutral and Live wires being crossed! When the house was secure and the lighting circuits fully tested, the KNX rack, which had been built in our office and transported to site, was installed, the keypads were plugged into the bus couplers and the lighting system was up and running within the week. 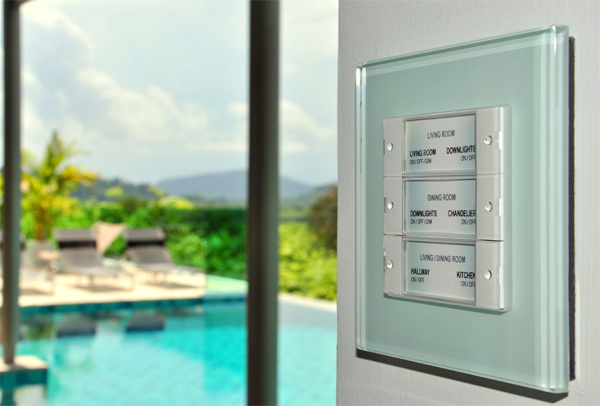 Overlooking the pool, this KNX keypad controls lights in the kitchen, hall, living and dining room. Whilst running cables, we hit upon a couple of small issues. At points where the electrical contractor had used smaller conduit than we specified, it was a tight fit, but we caught the problem fairly early. Some of the conduit runs were also much longer than was necessary and than was indicated on the plans – it would cost us money, but we decided to take the loss on the additional cable required rather than create a problem with the electrical contractor at this critical stage. One issue that did crop up: the metal halide lamps installed in the double-height lounge didn’t dim properly with the KNX system. This was down to their long warm-up period. We recommended they simply be replaced with halogen lamps since there was no discernable benefit from the metal halides. Space below the house had been earmarked for use as a future entertainment area. However, on another project of ours taking place elsewhere, a dramatic, last-minute colour change by the interior designer meant that we effectively had a spare set of custom-built theatre seats in the ‘wrong’ colour. 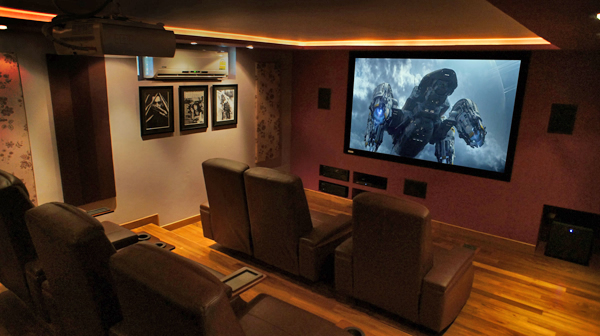 A deal was made with Dennis to pass the seats on at cost price and he commissioned the home cinema in October 2011 which we completed just in time for Christmas. 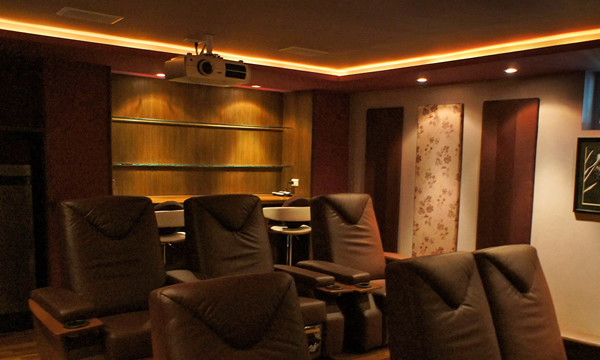 The home cinema features a 92″ screen and seating for six. Outside of our scope of work, at some points during the install we had to bring to the attention of various contractors, discrepancies between the CAD plans and what was actually being built. At first this didn’t make us many friends on site, but towards the end of the project our help was welcomed in many areas. Whilst we generally deal with low-voltage wiring, our engineers are qualified electricians, and we found that this was incredibly important on this project, making it easier to spot potential issues with the lighting circuits well in advance. The AutoCAD problems on this project were a fairly steep learning curve. Although we’ve been using AutoCAD for years, and it is something that we’d breeze right over now, at the time it was infuriating. We will probably never encounter the same problem again, so it was a reminder that these unforeseen situations must be built into our estimated costing and time schedules. A small area towards the rear of the cinema is reserved as a bar. Dennis is delighted with the lighting control system and feels that he made the right decision choosing the KNX system. Having developed a number of executive residential properties for resale, Dennis was acutely aware of the considerable amount of planning and foundation work it takes to install such a system and is looking forward to long years of easy control over his home. In terms of the home cinema, this has turned out to be a highlight of his trips to Phuket. He now has the luxury of being away from his busy work schedule and can sit back, relax and enjoy himself. 25 x Gira push button sensor keypads. 10 x Gira single switch (conventional light switch). 5 x two-gang Gira dimming actuators. 5 x eight-gang Gira switching actuators. Custom leather recliners (burgundy colour). 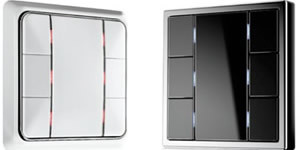 Nuvo 6.5″ in-wall and in-ceiling speakers. Ben Hobbs is Managing Director of H3 Digital. 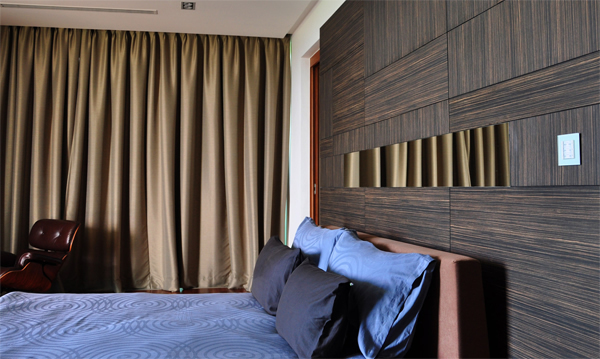 Based in Phuket, Thailand, H3 Digital specialises in lighting control, home automation, multiroom audio and home cinema.